Keep family members informed of progress or misuse? MAT in concert with counseling and behavioral therapies is considered a standard of care for Opioid Use Disorder patients. Yet, only 20% of all potential patients are enrolled in treatment programs at any time, and MAT medication adherence rates range from ~37 – 41%. Removing barriers to patient cost, insurance coverage and authorizations, social stigma, medication adherence and provider access for MAT and psychosocial services is vital to treatment program enrollment and decreased relapse rates (currently ~40-60%). Prescribing, when appropriate, less expensive generic BUP/Nx tablets during maintenance therapy reduces patient financial hardship. Reducing refill cost with lower dosage prescriptions during tapering also helps reduce patient out of pocket cost. Providers and caregivers/family members also need assurance that patients will be successful in their adherence and will be notified when additional assistance is needed. Helping providers recognize early-on aberrant drug-taking behaviors and helping them distinguish unintentional misuse, pseudo-addiction, or chemical coping with deliberate misuse, abuse, and diversion. Securing MAT medications from accidental access, tampering by making compliance verification for patients, easy, unobtrusive and diversion harder to circumvent. Addressing non-adherence resulting from patient visit no-shows (travel, transportation, job). Pay MAT providers and pharmacists, outside of visit encounters, to monitor patient adherence, ingestion and dosage data results from remote sensor, packaging, biometric and smart phone solutions. 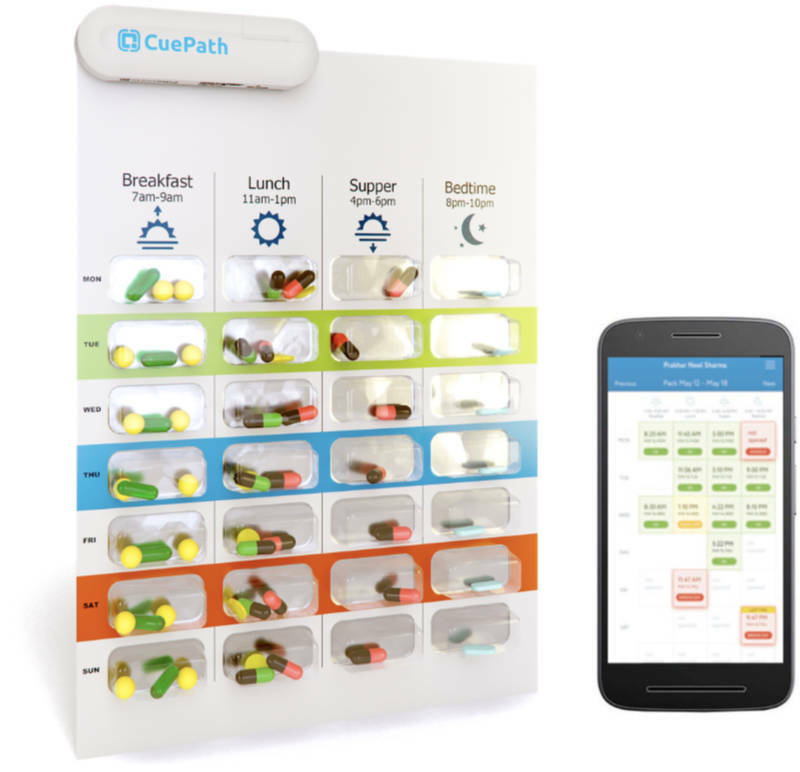 CuePath is a smart blister package solution that supports adherence to replacement medications for SUD withdrawal (i.e., Medication Assisted Therapy). CuePath uses take-home, standard blister packaging for MAT tablet prescriptions (buprenorphine, naloxone or combinations). CuePath analyzes and records location, pills, and dosage taken and when a blister cavity is punched out (date, time taken).